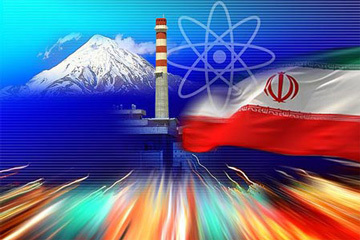 Iran’s proposal for a tour of its nuclear sites floundered yesterday (13 January) after China effectively rejected the invitation and Russia cautioned that such a trip could never replace UN inspections or talks between Tehran and world powers. The European Union turned down Iran’s offer to allow selected ambassadors accredited to the UN’s nuclear watchdog to visit two nuclear installations but snub those from the United States, Britain, France and Germany. Diplomats from Britain, France, Germany and the United States were not invited. But China, Russia and Hungary, which holds the rotating presidency of the European Union until July, were invited, leaving the EU in a quandary over what to do. In the end, EU foreign affairs chief Catherine Ashton rejected Tehran’s offer and claimed that the responsibility of inspection lies in the hands of the United Nations. China, ahead of President Hu Jintao’s state visit to the United States next week, said it would be “difficult” for its ambassador to the International Atomic Energy Agency (IAEA) in Vienna to go on the proposed tour. “The Vienna representative is still in China right now, so it will be difficult for him to go to Iran,” Foreign Ministry spokesman Hong Lei told a news briefing, without elaborating. Without the European Union, China and possibly Russia, Tehran’s trip proposal could collapse before Istanbul talks next week between Iran and the so called P5+1 group – the five permanent members of the Security Council along with Germany. Iran’s nuclear chief Ali Akbar Salehi says his country is now capable of making the fuel plates and rods used inside nuclear reactors. 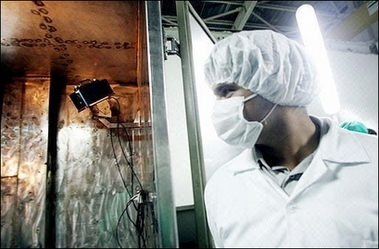 Western analysts have previously said the Islamic republic did not possess such technology. The US and other Western nations suspect that Iran is attempting to build nuclear weapons. 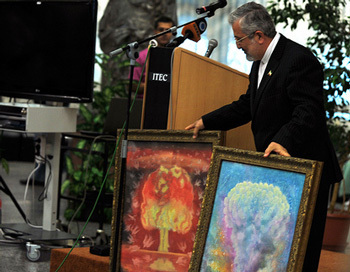 Tehran strongly denies the accusation, saying its nuclear programme is for peaceful civilian purposes. Mr. Salehi told Fars news agency that Iran had completed construction of a facility in the city of Isfahan to produce the plates and rods. “We have built an advanced manufacturing unit in the Isfahan site for the fuel plates,” Mr Salehi, who is also acting foreign minister, told Fars news agency. Fuel rods are designed to contain enriched uranium and are housed inside the nuclear reactor. Mr Salehi’s comments come ahead of the next round of talks in Istanbul between Iran and six world powers – the US, UK, China, Russia, France and Germany – over Tehran’s nuclear programme. The European Union’s executive said on Wednesday it was up to the U.N. nuclear watchdog to inspect Iranian atomic facilities, after Tehran invited EU envoys to tour the sites this month. The European Commission said it had yet to reply to the invitation sent to some ambassadors, including the EU’s, accredited to the International Atomic Energy Agency in Vienna, weeks before a second round of talks between Iran and six world powers on its disputed nuclear ambitions. Iran invited the EU as well as China, Russia and others to visit, in a move that raised questions in the West as to whether it constituted a genuine step towards more nuclear transparency or a public relations stunt meant to divide major powers and buy time for further atomic advances. The West suspects Iran’s nuclear programme is directed at developing bombs. 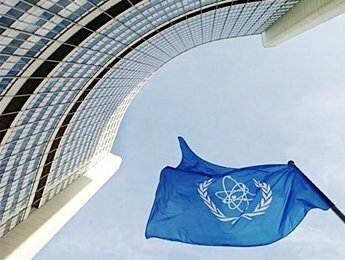 The EU said inspections should be carried out by specialists from the International Atomic Energy Agency (IAEA), rather than ambassadors to the U.N. watchdog who were invited by Tehran. “We haven’t answered the letter,” a European Commission spokesman told a regular news briefing on Wednesday, after being asked whether the EU had accepted or rejected Tehran’s offer. In a letter made available Monday to The Associated Press, senior Iranian envoy Ali Asghar Soltanieh suggests the weekend of Jan. 15 and 16 for the tour and says that meetings “with high ranking officials” are envisaged. While no reason was given for the timing of the offer, it comes just weeks before Iran and the six powers follow up on recent talks that ended with agreement on little else but to meet again. The new round between Tehran, and the permanent U.N. Security Council members — the U.S. Russia, China, Britain, France — plus Germany, is tentatively set for Istanbul, Turkey in late January. It is meant to explore whether there is common ground for more substantive talks on Iran’s nuclear program, viewed by the U.S, and its allies as a cover for secret plans to make nuclear arms — something Tehran denies. As we all know there is an International Atomic Energy Agency which barred from Iran for investigations and Islamic republic probably has a show going on after barring over 40 investigators which wanted to investigate the sites that they suspect not the ones that the regime plans to demonstrate. Islamic regime plays with world to extend the time to reach to their aims. Last month the head of Iran’s atomic energy organization said on television that Iran had achieved the ability to produce its own yellow cake, uranium powder that is a step in the process for creating nuclear fuel. He said the breakthrough, using uranium ore mined in southern Iran, signified the country’s full self-sufficiency in the production of uranium, cutting out the need for imported material. U.S. Ambassador to the United Nations Susan E. Rice offers remarks regarding Iran’s nuclear program at the United Nations headquarters.